Have you ever wondered if the slight difference between the words in the above title has any significance? For these two words, are the additional syllables just fancy yet meaningless additions and the two can be interchanged? We would like to invite you to read the text which we hope will clarify this issue for you if you happened to notice the difference even once and thought about it. According to the instituted Polish definition, cosmetics are products intended for contact with external parts of the body: the skin, hair, teeth and nails. They are intended to keep clean the abovementioned parts of the body, protect them, improve the odour, to perfume or to beautify. The important thing is that apart from non-toxicity and harmless action, cosmetics should not contain active curative substances as medications do. Along with the development of cosmetology, the market began to introduce products for which similar definitions are not sufficient any more. Creams, lotions and ointments for daily use which include significant concentrations of active substances were not only designed to care for the skin, hair or nails but also showed a therapeutic effect without a prescription. Also, they could enhance medicaments for the treatment of skin diseases, healing of wounds or presented excellent anti-ageing effects. The necessity to classify, distinguish and raise the profile of products which happened to be between cosmetics and medications has led to the term ‘cosmeceutical’ evolving in 1970s. The term was introduced by Albert M. Kligman, a professor of dermatology at the University of Pennsylvania. So what is the difference between cosmeceuticals and cosmetics? First of all, cosmeceuticals include active ingredients which could affect physiological processes of the human skin. Their content (or high concentration) may result in a therapeutic effect due to mechanisms triggered by a specific component. Depending on included components it may show an anti-dandruff action, sooth eczema or acne, stimulate regeneration, increase skin resistance, reduce blemishes, stretch marks or cellulite as well as, e.g. reduce anti-ageing effects which occur in the skin. Cosmeceuticals can significantly improve the condition of the skin and relieve its symptoms in case of dermatological diseases or ailments manifested by skin lesions. It is worth remembering, however, that these preparations are not medications and may not be regarded as a drug but rather as an aid in therapy to be used during or after treatment determined by a specialist as prevention against possible recurrence of symptoms. The latest inventions in biotechnology and pharmacology are used for their development. Their composition often results from scientific discoveries and long-term researches in laboratories. The active ingredients are composed of substances which components and production are subject to patents. There is an additional advantage, since the production process is similar to the production of medicaments due to the nature of components and target actions. For this reason the use of cosmeceuticals is safe and carries a much lower risk of allergies. Active ingredients which add therapeutic properties to preparations are, e.g. vitamins such as retinol and tocopherol derivatives, lipid forms of ascorbic acid and panthenol, flavonoids, derivatives of alpha and gamma-linolenic acids as well as arachidic acid. Biotechnological preparations such as low molecular weight peptides (such as those in Biopeptide Complex), or oligosaccharides which interfere with tissue processes are a specific group of cosmeceuticals. 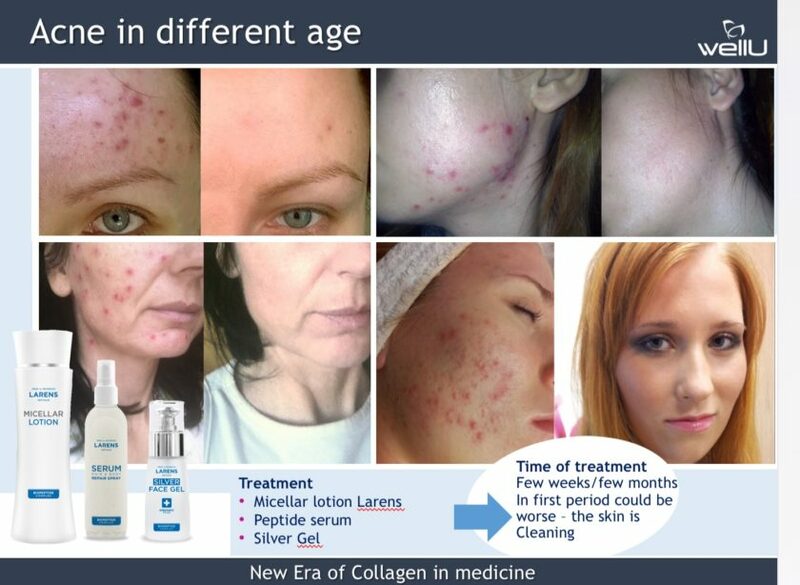 The presence of highly concentrated active ingredients with unique action makes cosmeceuticals a bridge between daily care available for all and aesthetic medicine. For example, SYN AKE® preparations with a neuropeptide acting like a toxin from a viper’s venom (Temple Viper, known as the strongest peptide relaxant), which neutralizes micro-contractions of muscle fibres. It produces a “botox-like” effect without office appointments and injections. Equally important, cosmeceuticals can support or sustain the effects of professional treatments. 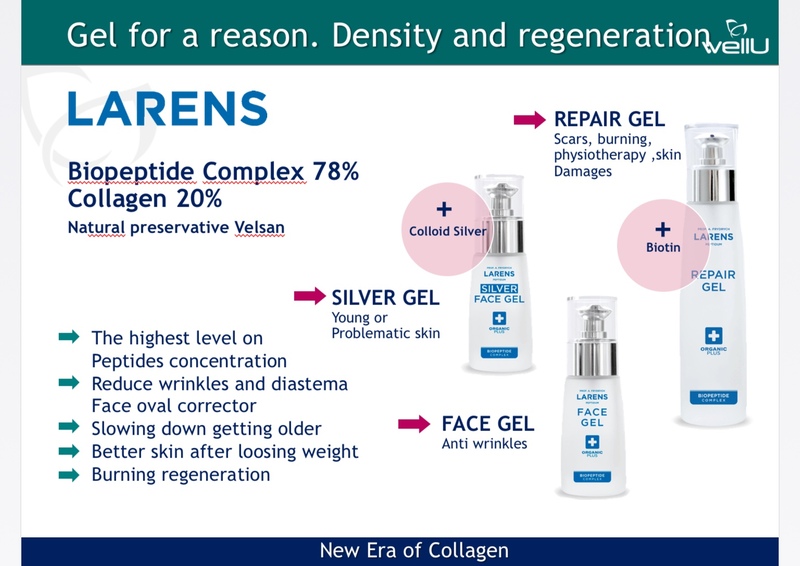 After selecting a cosmeceutical which shows accelerated healing and regenerating actions as well as improves the condition of the skin after surgery, the skin recovers more quickly, and a product with dedicated anti-ageing ingredients lets you enjoy the effects of treatment at an aesthetic dermatologist much longer.In conclusion: Cosmeceuticals are preparations placed between cosmetics and medications. They include such components and/or in such concentrations that affect the skin, hair or nails in a therapeutic manner. Although they are not for healing purposes, they can significantly accelerate, facilitate and assist in the healing process as well as alleviate symptoms and prevent possible recurrence. Cosmeceutical components are innovative substances often subject to a patent and resulting from modern technological processes as well as long-term scientific researches. All Larens products are defined as cosmeceuticals.